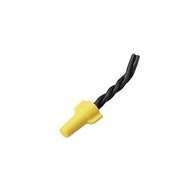 IDEAL Wire-nuts, Twister wire connectors and WeatherProof wire connectors. 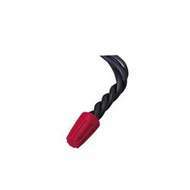 The IDEAL Twister wire connector easily handles the most common wiring tasks. A patented expanding square-wire spring always ensures a quick safe connection. 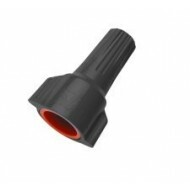 IDEAL WeatherProof wire connectors are designed specifically for above ground, interior/exterior connections exposed to damp/wet and corrosive environments. 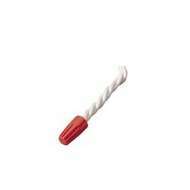 IDEAL Wire-Nut® 73B® Wire Connector, Orange (Box of 100). 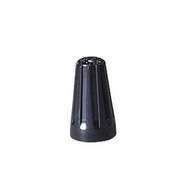 IDEAL Wire-Nut® 73B® Wire Connector, Orange (Box of 100). 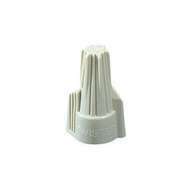 IDEAL Wire-Nut® 71B® Wire Connector, Gray (Box of 100). IDEAL Wire-Nut® 71B® Wire Connector, Gray (Box of 100). 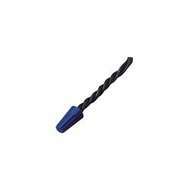 IDEAL Wire-Nut® 72B® Wire Connector, Blue (Box of 100). 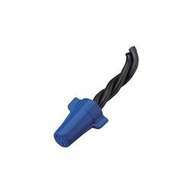 IDEAL Wire-Nut® 72B® Wire Connector, Blue (Box of 100). IDEAL Wire-Nut® 76B® Wire Connector, Red (Box of 100). IDEAL Wire-Nut® 76B® Wire Connector, Red (Box of 100).